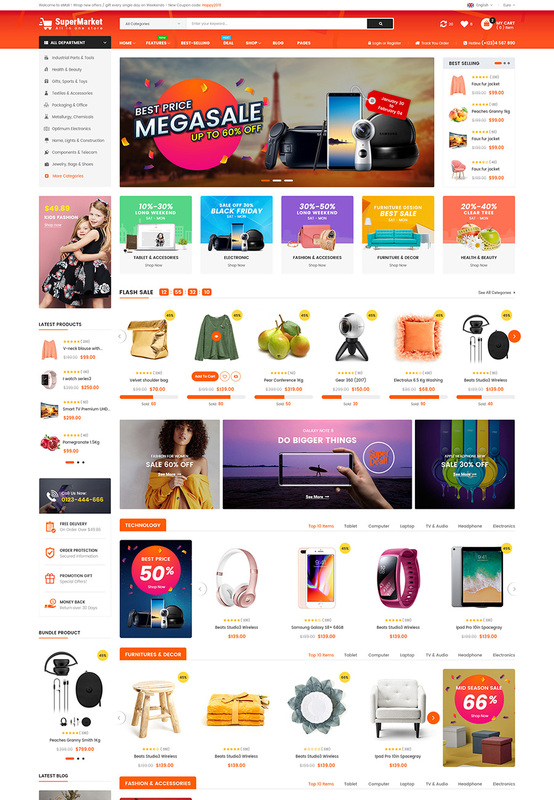 SuperMarket is an advanced OpenCart 3 theme fully customizable and suitable for e-commerce websites of any purpose. 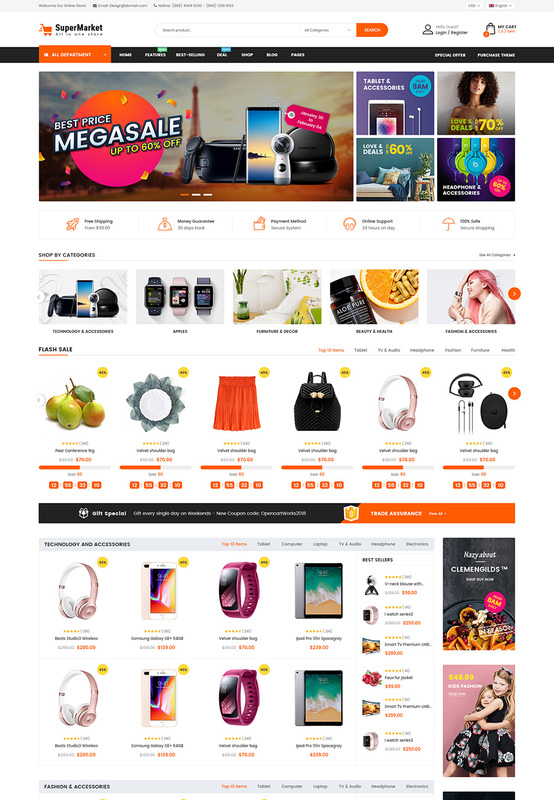 The template is also the typical modern OpenCart theme by universality, attractiveness and easy customization. 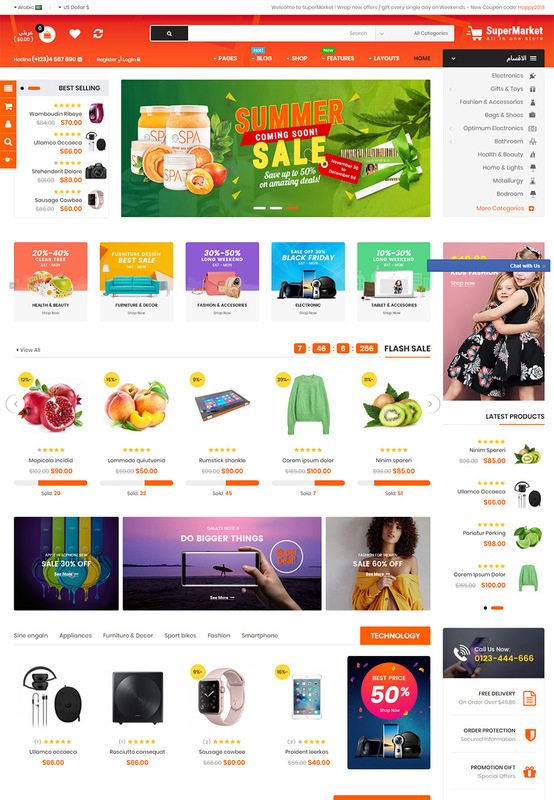 It is also compatible with Product Design Module & Slider Revolution, certainly attract customer to your site by a professional way. Beside, Multivendor plugin from Purpletree Software Author also is checked in this theme. 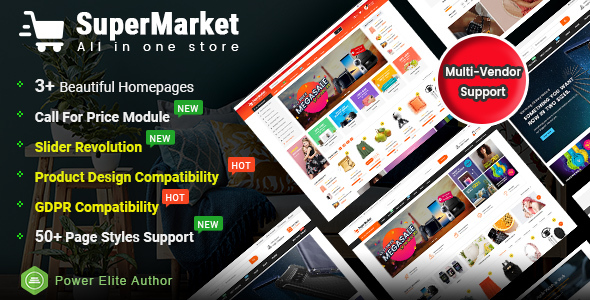 You can buy this plugin to turn your shop to be a marketplace and connect many vendors & customers as well. 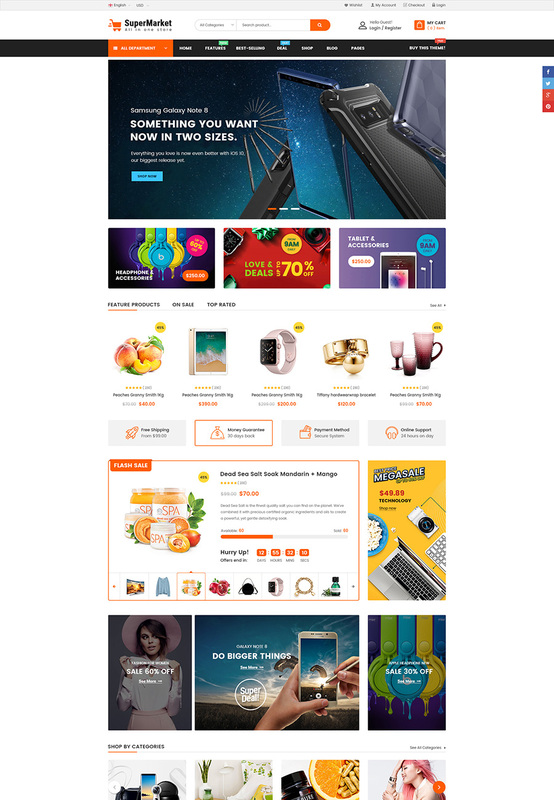 ✔️ Modern Design: Multi-homepages, highly responsive, mobile layouts ready, unlimited colors, negamenu built-in, beautiful slider, countdown slider, featured product blocks, product listing tab, etc. Especially, 50+ page styles also supported. ✔️ Dedicated Support: Contact us anytime at our Official Support System to get help in 24 hours (Every Business days).